In my private practice, parents have often asked me what are the causes of toddler anxiety. They look to possible trauma or poor parenting as the origin. They confess all of their parenting mistakes – mistakes we have all done at one point or another. The truth of the matter is, there doesn’t have to be a cause for your child’s anxiety – anxiety runs in families. So just like your child might have Aunt Martha’s green eyes and your husband’s brown hair, they might have your family’s anxiety as well. 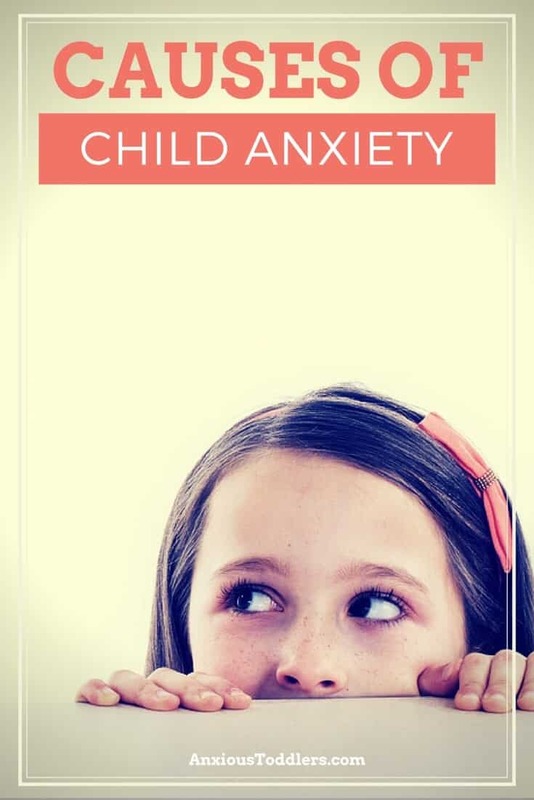 Once you accept that your child may have a predisposition for anxiety, you can quit the blame game and start focusing on how to help your child develop coping mechanisms to overcome their anxiety. Although children are genetically predisposed to anxiety, children can be taught amazing skills to overcome their challenges. Although nature has planted their seed, your nurturing can prevent that seed from turning into a weed! Don’t discount the power of parenting! If you worry that your own anxiety is affecting your parenting, check out my post on How to Handle your Anxiety when Parenting and get some tips on parenting approaches.